This map comes from the BBC, which investigates prohibition in the 21st century at the local level, as the national policy ended in the early decades of the 20th century. Credit for the map goes to John Walton, Harjit Kaura, and Nadzeya Batson. 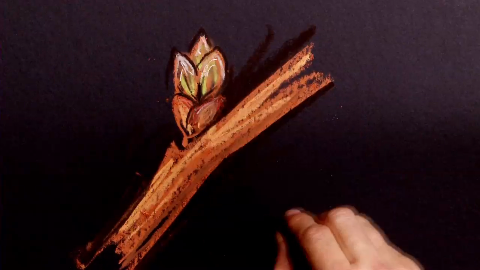 The Washington Post explains the science—or is it art—of the cherry blossom in D.C. though an illustrated video. Certainly this is literally more illustrative in concept than some other posts here, but the illustrations nonetheless match the audio explanations and parallel nicely with the aesthetic qualities of the cherry trees. 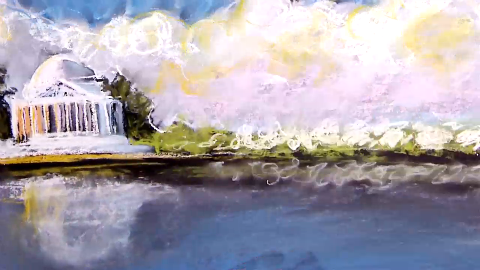 Drawings by Patterson Clark and narration by AJ Chavar. I would say that a typical map like this would simply plot the percent of each county, state, or other sub-division for the selected heritage group. Much like below, as I chose the Irish. Bloomberg’s piece is a bit more interesting than that because of the ability to compare two groups, to see where they overlap and where they diverge. 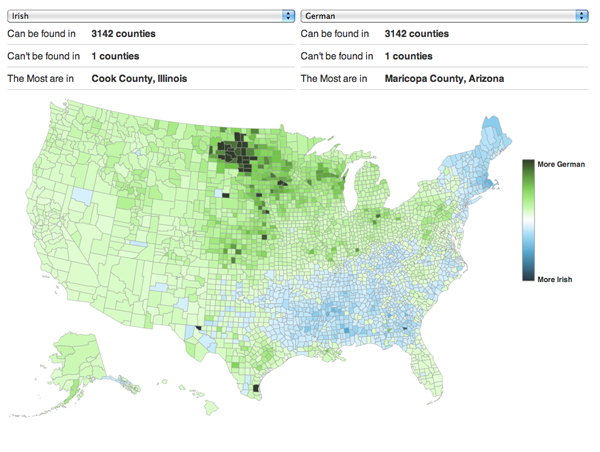 In doing so, they created a divergent choropleth that can show the subtleties and nuances of settlement patterns. Credit for the piece goes to David Yanofsky. Charles Booth was a 19th century social scientist living in Britain. He famously investigated poverty and mapped out which parts of London were teeming with vicious, lower-class criminals or well-to-do upper class folks. 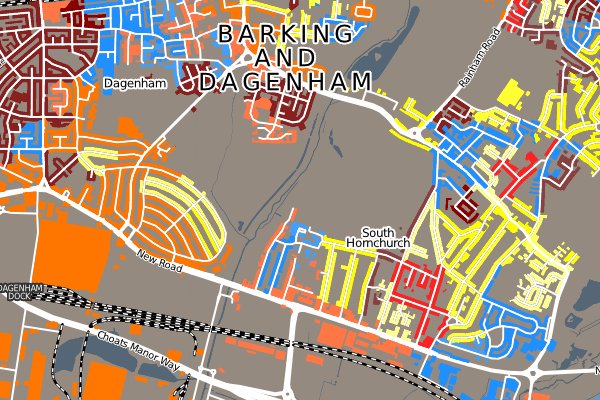 Today, one might use a simple choropleth style to paint whole swathes of London by postal districts or constituencies or some such. 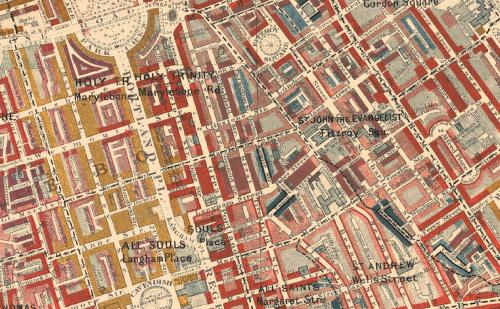 But, Booth went street-by-street and house-by-house colouring blocks of London’s residential areas until he arrived at a map far more complex—and thus ultimately more telling—of the intricacies of London’s social structure. Oliver O’Brien has created a modern take on Booth’s approach to investigate the housing demographics of the UK, which ignores the large areas of the British countryside that are devoid of homes and thus focuses on the denser residential areas of the UK’s major cities. 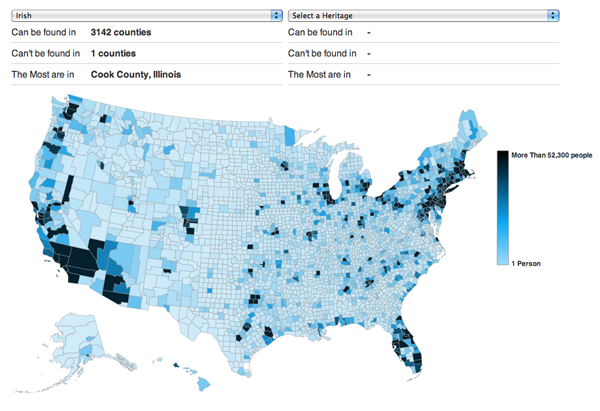 Censuses seem to be a natural dataset for such work, but I wonder if in the future we will be able to apply such data visualisations to other geographically-tied data. A day early given the weekend…so yeah, I’m (mostly) Irish-American. So this post is for the (extended) family. There is quite a lot of talk these days about the possibility of Israel, either with or without American assistance, launching an attack on Iran to halt the further development of its nuclear programme. The trouble is that Israel may not have the weapons necessary to carry out a successful attack, but the US has quite the arsenal. And one of the most useful, for just such a task is the Massive Ordnance Penetrator. 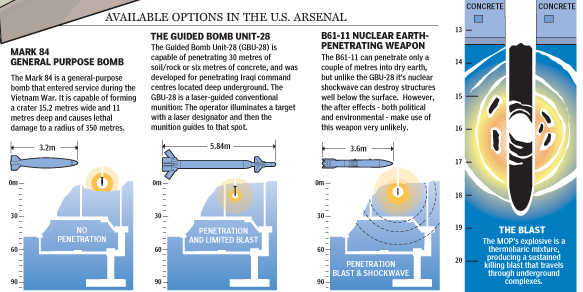 The National Post created an infographic to look at the bomb and just how it might be used if the US should decide to use it. Credit for the piece goes to Mike Faille and Richard Johnson. Earlier this month I posted about how the New York Times looked at the polarisation of the US Senate. Now the National Journal has another, similar visualisation attempting to explain the political gridlock that was picked up by the Atlantic. For those wondering, the National Journal ranks senators on their conservativeness–liberalness by their votes and that is the plotted data. Credit for the piece goes to the National Journal. How Popular Is Your Home State? Public Policy Polling had a survey in February where they polled respondents on whether they had favourable or unfavourable attitudes towards states, or if they were not sure. As a Pennsylvania transplant to Illinois, I can say that Pennsylvania came out a bit better than Illinois. But how about your state? Author Brendan BarryPosted on 7 March 12 11 November 16 Categories My Work, UncategorizedTags bar chart, charting, data visualisation, demographics, infographic, information design1 Comment on How Popular Is Your Home State? 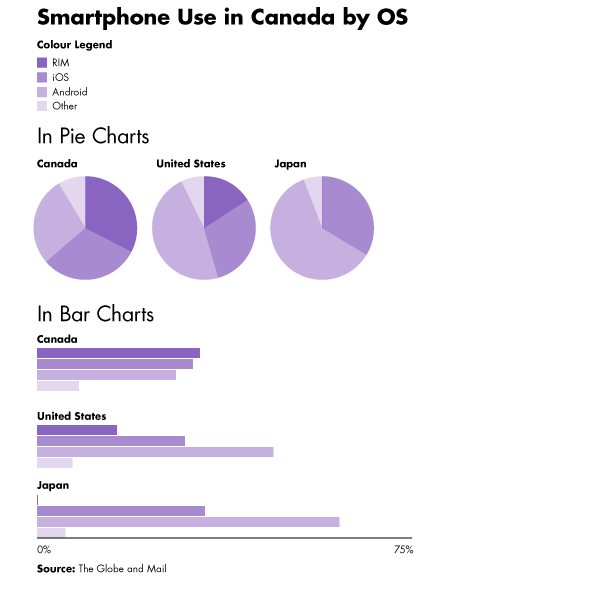 This piece in the Globe and Mail of Toronto looks at smartphone usage by operating system through a comparison of Canada to both the United States and Japan. 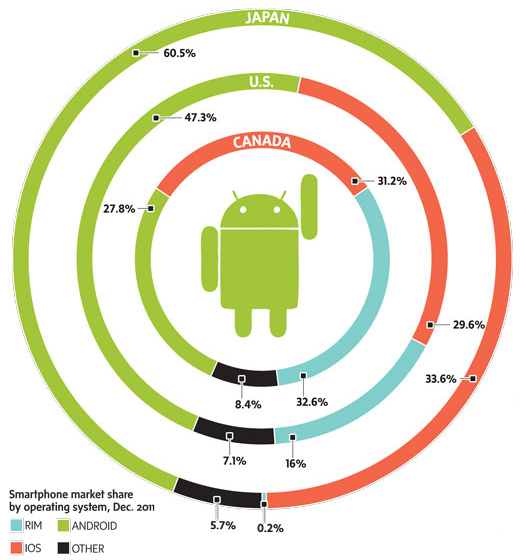 While I understand the need for aesthetic distinction from having an entire page of bar charts, these ring or donut charts are a touch misleading. 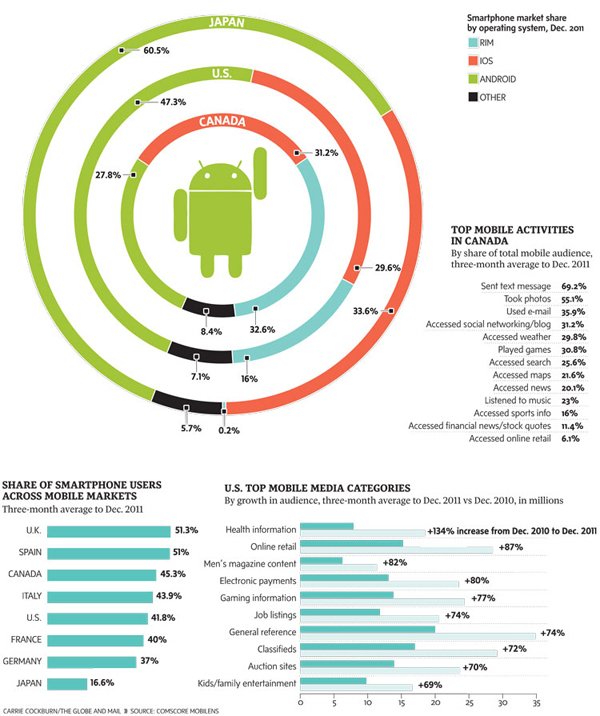 Because of the space between rings, the radius of each circle from the central Android icon is significantly increased. This of course proportionally scales up the length of each segment within the rings. In short, it becomes difficult to compare segments of each ring to the corresponding segments on the other rings without looking at the datapoint. And if you need to look at the datapoint, one could argue that the infographic has failed from the standpoint of communication of the data. Beneath is the original (with the legend edited to fit into my cropping) with two very simple (and hasty) reproductions of the data as straight pie charts placed next to each other and then as clusters of bar charts grouped beneath each other. I leave it to you the audience to decide which is easiest to decode. Credit for the Globe and Mail piece goes to Carrie Cockburn. 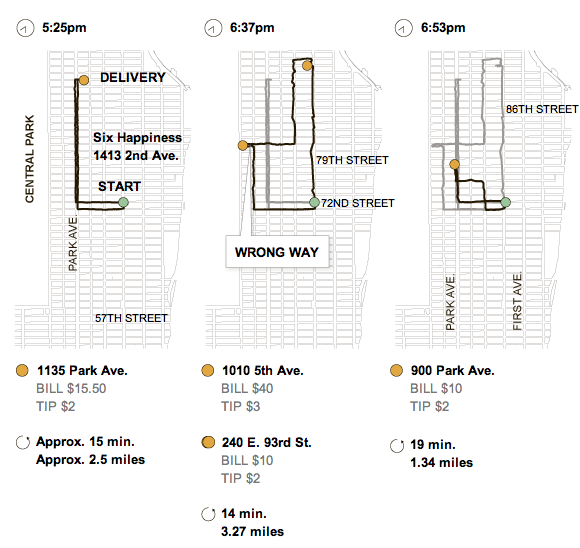 Sunday in the New York Times, an article on bicycle delivery had an accompanying infographic. It detailed the dinner route of the article’s main individual. The piece is an interesting use of small multiples to provide a timeline of a route, while each new delivery maintains the old paths for reference. And from a data perspective, I found it good to acknowledge the one instant where the follower lost contact with the delivery man.